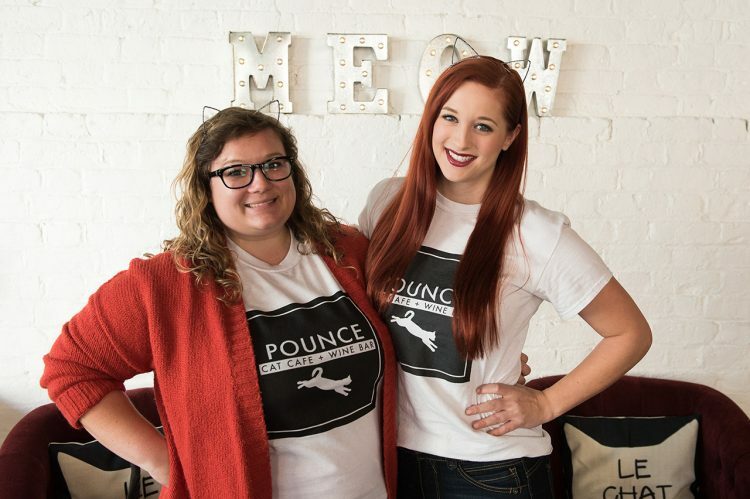 Ashley Brooks and Annaliese Hughes are the self-described crazy cat ladies behind Pounce Cat Cafe. Like many best friends, they met their freshman year of college while living in the same dorm. Even though they lived across the hall from each other and saw each other every day, they didn't break the ice until almost 6 months later when they started talking about the one thing that brings us all here today: CATS. Long story short, they have been insepurrable ever since. Throughout college, their running joke was that they should just drop out of school and start their own cat cafe, and while they never ended up dropping out, (you're welcome, mom and dad), they did finally open their very first cat cafe in Charleston, SC and recently expanded to open a second location in Savannah, GA.
Ashley and Annaliese are incredibly passionate about helping shelter animals in need and truly believe that their cafe is the future adoption model for shelter cats in the United States. In the years to come, they plan to shape and pioneer the cat cafe industry across the country to help cats, shelters, and people in cities everywhere.